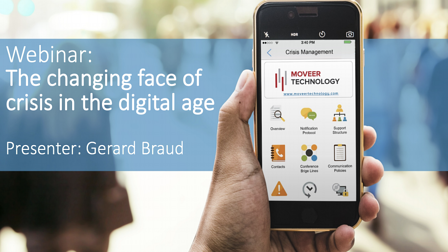 RockDove Solutions and the International Association of Business Communicators recently hosted a webinar to discuss the changing face of crisis in the digital age. Crisis communications expert Gerard Braud presented, leading discussions on how social media has changed the way that crises occur and how businesses should handle them. Simply fill out the form to gain access to the recording and presentation slides.